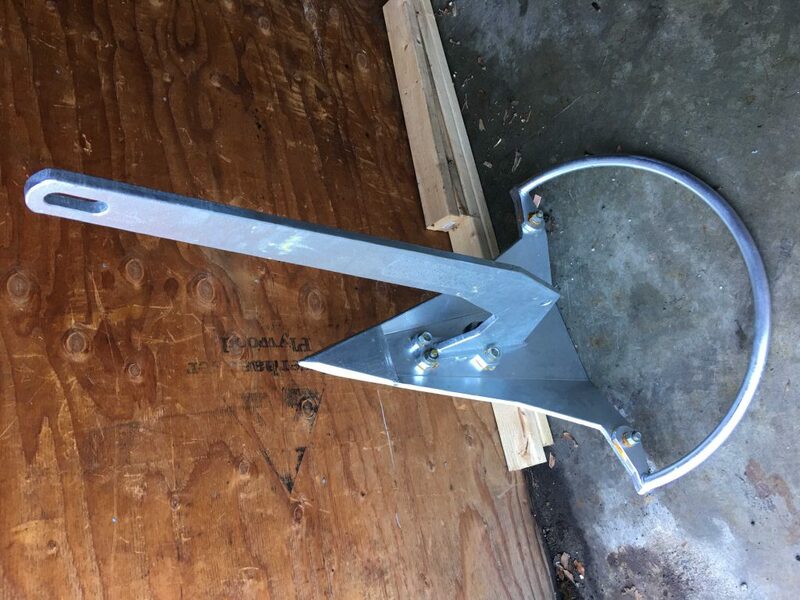 Cassiopeia came with a 55 lb (25 kg) CQR-style stainless steel plow anchor, with 80 m (260 ft) 3/8” galvanized chain supplemented with 30 m (98 ft) rope. A portion of the chain is new, as a previous owner added some when the boat was in the Mediterranean. The rest is likely original. And it is showing. 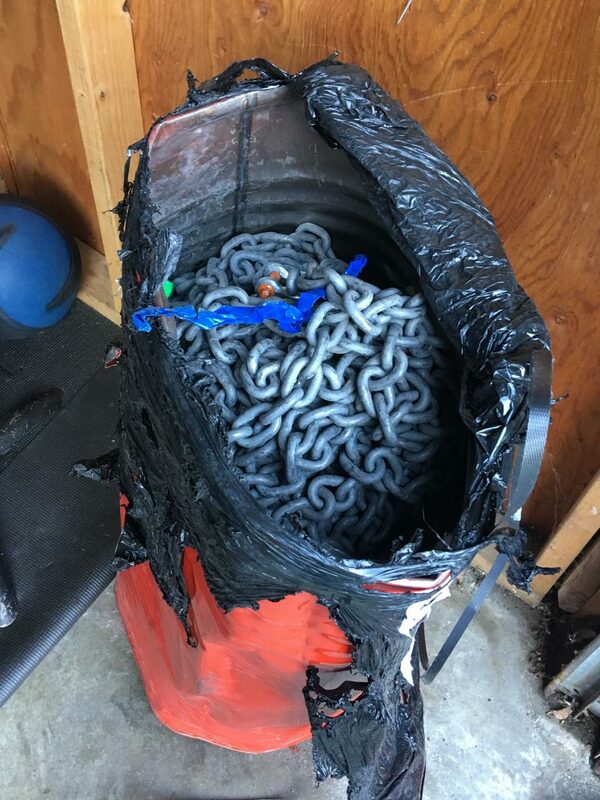 There is one particular link that is severely corroded, so rather than mess with trying to see if the existing chain can be regalvanized, we decided to purchase new. Then we know it will be good for the next 7-10 years if we take care of it. 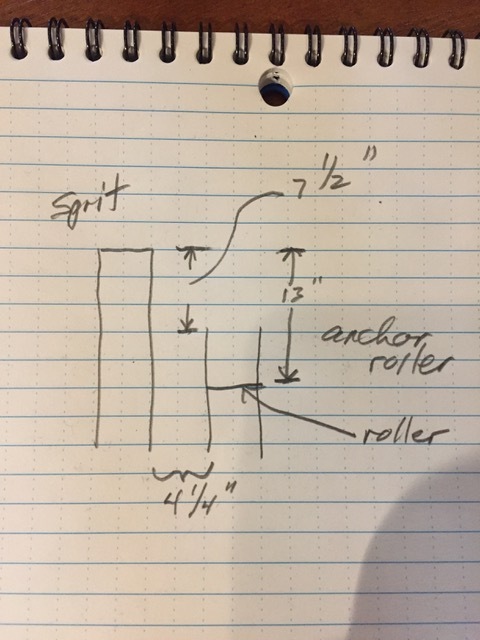 Jamie Gifford (Sailing Totem) suggested we splurge for G4 Hi Test chain (5/16”) and a newer anchor. CQR’s were highly rated a decade or more ago, but there have been improvements in design. It served well in the Caribbean on our trip to bring Cassie to Florida, and here in the south Puget Sound. In the Caribbean, we typically had sandy bottoms, and here it is typically silt/mud in the anchorages we frequent. However, we’ll be seeing lots of different bottoms when we cruise, so we want an anchor that sets well. Mary fell in love with the Mantus at the 2018 Seattle Boat Show. We reduced our choice to either a Rocna or a Mantus. We purchased 400 feet. I figured the longer 5/16” chain will be very close to the current weight of the shorter 3/8”. Jamie recommended we consider at least 350 feet as a minimum safely anchoring in some of the deeper anchorages for our ultimate goal in the South Pacific. Cassie’s anchor locker is adequately large to accommodate the chain. Currently the chain is still sitting in its barrel in our storage locker. There are lots of suggestions on line on how to mark chain. They tend to be: spray paint, plastic link inserts, and plastic zip ties. All of them have their pros and cons. I found a fellow who suggested using nylon webbing (see below). I chose blue, green, red and yellow webbing. It was very inexpensive (www.strapworks.com). I used my needle and whipping twine to sew the pieces in the links. In addition to this, you will need a system of marking the chain and nylon rode so you can easily see how much scope you have out. Painting doesn’t last and will flake off on your deck and into the anchor locker. I have a simple solution to this problem that will last for many years. I buy various colors of 3/8” nylon webbing and with a hot putty knife, heated with a simple propane torch, cut lengths of 3 1/2“. I use a different color for each 100’ of rode. Here is how it works: At 25’ I loop a length of, let’s say red webbing through a link of the chain opposite the weld. I then sew the webbing tightly together close to the link with whipping twine so the ends are equal in length. At 50’ I sew two lengths of webbing with three empty links between each web. The empty links allow for easy viewing. At 75’ I sew three lengths of webbing with three empty links between each web, and at 100’ I sew four lengths of webbing again with three empty links between each web. I now change colors, say to white, and repeat the process for each 100’ of rode, chain or nylon. One white at 125’, two white at 150’ and so on. The colors can be whatever you choose. Your may want to go with “Red-White- and Blue” to make it easy to remember. Whether you mark your rode in feet, meters, or fathoms, the nylon markers result in a long lasting, easily identifiable indicator of how much scope you have out. I have used this system for over seven years without any visible wear on the webbing and it has gone through the windlass about 50 times each season without a problem. As of this article I have marked over 40 chains for various friends who agree that it is the easiest system to use and very visible at night. I chose metric instead of feet, as we’re planning to revert to metric for various instruments and such when we leave. We used metric on our trip through the Caribbean and figure it will be the common system outside of the USA. 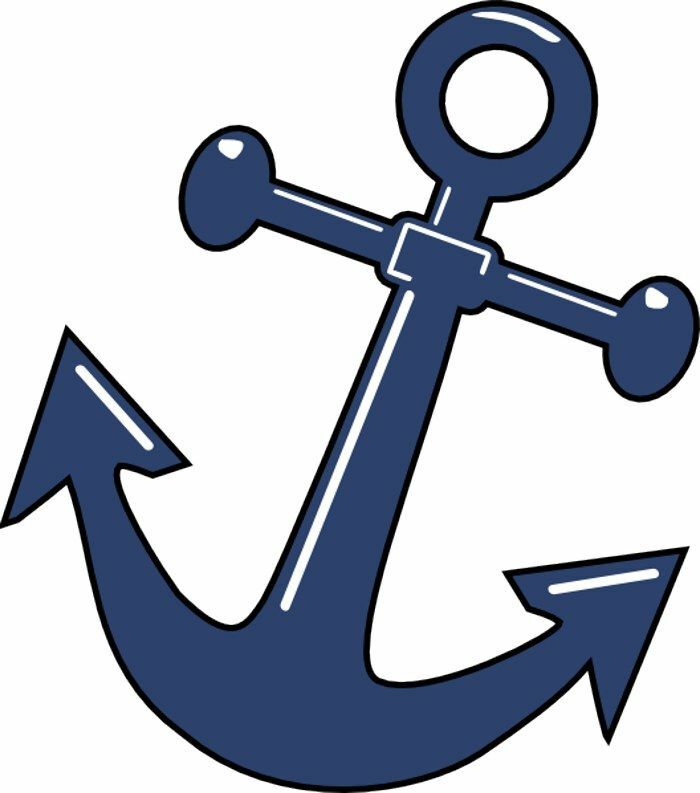 The anchor also currently sits in our storage locker, waiting to be installed, because we also have one other upgrade. Our windlass gypsy needs to be swapped out to fit the 5/16” chain. I ordered it, too, and it sits in a box on the boat waiting to be installed. So, once the weather is a little warmer, we’ll run the existing anchor and chain down into the dinghy, and pull it up onto the dock. I’ll swap out the gypsy on the windlass, and we’ll pull the new chain into the anchor locker, and attach the new anchor. We’re very excited to drop the new hook for the first time this spring!